the College Media Advisers convention in Kansas City, Oct. 29-Nov. 2, 2008. Participants will meet prior to the day’s shooting with a member of the newspaper photo staff for a coaching session and for instructions. Following the shoot, participants can submit their best work. On Saturday, professional photographers will conduct a critique session, select the best photos and determine whether any will be published. Sign in. Registrants are limited to one per school and there is a maximum number of photojournalists that we can allow to participate. If too many people sign up, we will draw names at the 5:10 p.m. meeting on Thursday. You MUST be present at that meeting. If you’re chosen and present, you’ll be given an assignment at the 5:10 p.m. meeting on Thursday. You’ll have until 11:30 a.m. Saturday to shoot and edit your photos digitally. Don’t just think of this as having to be of a person. 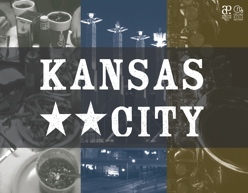 Maybe your portrait is of an object that says “Kansas City” more than any person could. Maybe not. You may submit no more than TWO digital images. Plan to drop off your images BEFORE the meeting at 1:30 p.m. Saturday with edited (cropped, color corrected, RGB, JPEG = 12) and captioned files. Do NOT resize or resample your images. In the File Info, include the following information in the following format. Of course part of this assignment is to give you a chance to experience Kansas City. But the real learning will take place at the critique session on Saturday.